Logan Handlers come standard with a rope controlled winch. 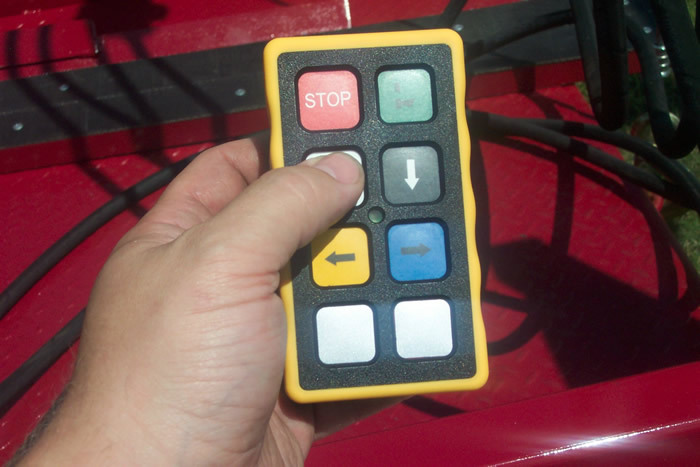 A remote control allows you to control the winch electrically using buttons on a remote control. More flexible control of the winch and for operators who set several vaults per day. Safety – Using the remote control allows you to stand farther away from the hole, when lowering the vault. Labor Savings – You can move the winch around by pushing a button, instead of pulling on a rope. It allows the operator to stay farther from the hole while lowering the vault. 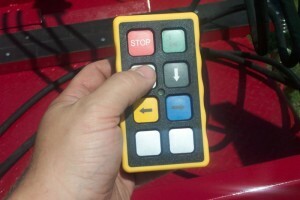 It gives the operator more control over the winch.